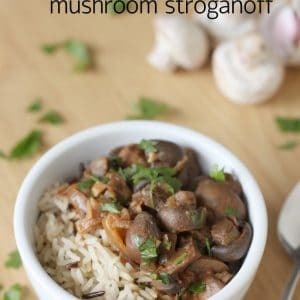 I’ve been meaning to remake this Crock-Pot mushroom stroganoff recipe for ages – I originally posted it waaaay back in March 2012, and the photos were in dire need of an update (if you really must see it, it’s here… don’t judge me, I didn’t know any better). It’s actually been a really popular recipe on the blog (I guess you guys like minimal effort recipes as much as I do! ), so I thought it deserved a refresher! This is the perfect time to repost this recipe, since Crock-Pot themselves have named this month ‘Crocktober’ (geddit?). 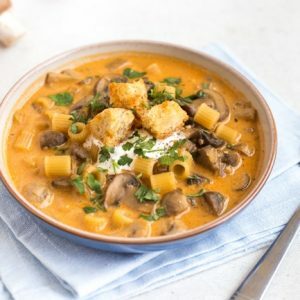 The timing is just ideal – when better to turn to hearty, slow cooked stews and casseroles than autumn, when the weather is becoming more depressing by the day and I just want to curl up in a ball (hence all the comfort food lately…). 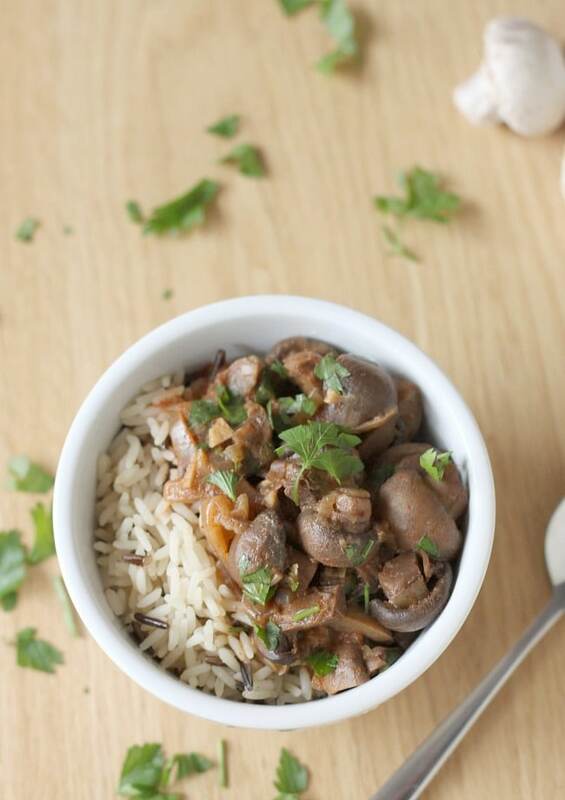 Mushroom stroganoff is one of my favourite dishes – mostly because it’s packed with my favourite spice ever, smoked paprika (related story: I dropped a jar of smoked paprika in my kitchen the other day and it smashed all over the floor. I was very upset to have wasted such an amazing spice, but at least my kitchen now smells amazing). 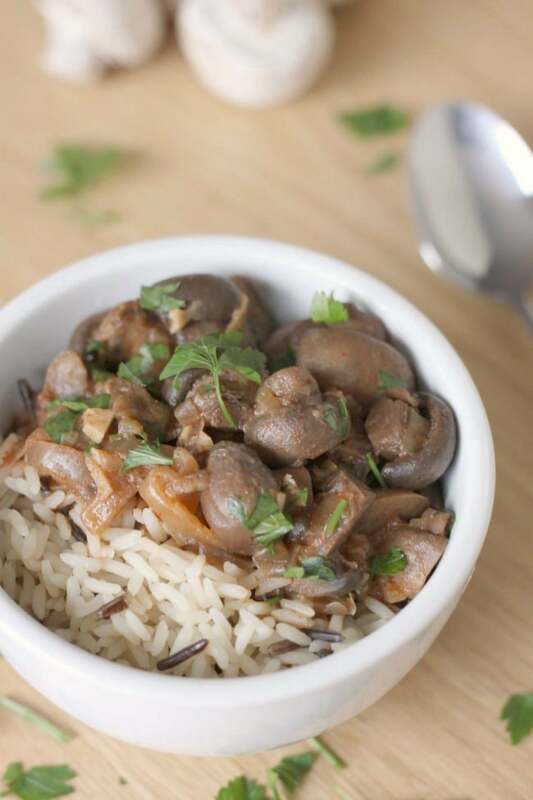 This Crock-Pot mushroom stroganoff is rich and creamy, and it goes amazingly well with whatever carb you want to serve it with – pasta, quinoa, bulgur, whatever. 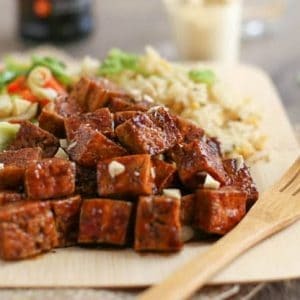 My favourite is rice, especially white rice (even though I usually prefer brown rice) – the juices soak right into it and it gets so full of flavour. Love it! Here I actually used a mixture of white rice and wild rice, purely because I think it looks prettier. To celebrate Crocktober, I made my mushroom stroganoff in this gorgeous little digital number – the digital display makes it really easy to see how much cooking time is left, and the fact that there are only four buttons make it really easy to use, even for a dunce like me. When your food’s finished cooking, the machine automatically clicks over to ‘keep warm’ mode, so it doesn’t even matter if you’re not quite ready to eat yet. Now, Crocktober wouldn’t be much of a celebration if it was just me at the party (wow, sudden flashback to a childhood birthday…), so the lovely people at Crock-Pot are kindly allowing me to give away not one, but two of these digital Crock-Pots to you guys – so you have twice the chance of winning! And if that wasn’t enough, they’re also throwing in two food warmers! I can imagine this little gadget would be handy if you work in an office (or somewhere similar!) – fill it with your pre-cooked meal, plug it in when you get to work, and by lunchtime you’ve got steaming hot stew / soup / casserole / whatever tickles your fancy. To enter to win, use to Rafflecopter widget below (UK only please!). EDIT: This giveaway has now ended and the winners have been notified. Thanks to all who entered! I made this today to appease my vegetarian son and my meat eating husband. I used greek yogurt instead of sour cream and it broke (good news, they didn’t notice). It does need the salt and pepper. Next time I will use marsala wine. and some cornstarch. I used three 8ox packages of baby portabellos. Simple and delish! Thank you for sharing! Could you add in some cornstarch so as it heats it thickens? Just curious. I haven’t tried cooking cornstarch in a slow cooker, so I’m not sure whether it works, but you could definitely give it a try! You can use cornstarch in a crockpot! You will have to make a slurry first before you add it to the crockpot. And you want to wait until the end of the cooking time (4 hours) to add it in because it will cook fast and you will need to watch the thickening. Start with a small amount of slurry first and add more if needed. Lovely recipe – worked a treat! It needed the salt and pepper to bring out enough flavour but it was really tasty and so easy. I love a recipe with so few ingredients! 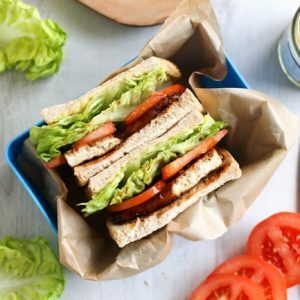 Always on the lookout for easy vegetarian recipes and will definitely save this one! Thank you. Could I cook it on low? And, if so, what would be the time conversion? Thanks! I’ve not tried cooking this on low but I’d say try about 6 hours and see how you go? Worcestershire has anchovies so this is not a vegetarian version of Stroganoff. They sell worestershire sauce in stores that has no anchovies. One brand is called Annie’s. 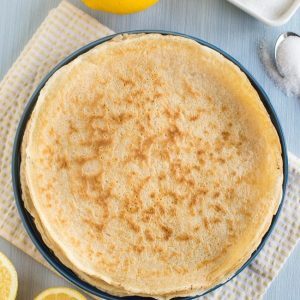 Thanks for the recipe – really nice and simple but tasty! I used single cream instead of sour cream (because it needed using up) and we were out of chicken stock so I used veg stock instead. Also I misread tsp for tbsp and put in way too much paprika, panicked and then washed it off the mushrooms and tried to balance the overpowering flavour by adding port. This seemed to work as it was rich and flavourful. Will be making again! I made this dish but the paprika killed it for me. That’s a shame, paprika is an important part of a lot of stroganoff recipes, and it’s my favourite spice by a long way! I guess we can’t all have the same tastes. I’m so glad I found your site! 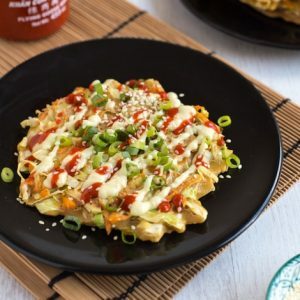 It’s so full of great recipes :) This one looks really yummy and easy for lazy days, but it’s nearly impossible to find sour cream here. Do you think yogurt would work instead? Hopefully someone is seeing this post: my husband said the dish needed more flavor, it was served over noodles which were bland and I added no salt and added pepper after serving. Now, that statement makes me sound goofy ( no salt = no flavor) BUT he means more spice/herb or additional flavor beyond the paprika. I could add more smoked paprika but decided to ask if anyone had added other seasonings in addition to the SP. Send tips if you have them! Thank you!! I think some salt and pepper would go a long way, and more smoked paprika would work too. Did you top it with fresh parsley? I find that adds lots of flavour too :) I’ve also put a squeeze of ketchup in this before which adds a nice bit of richness! I used a generous amount of fresh thyme instead of parsley and used the ketchup included in the original version of the recipe. I also found that the dish was better on the second day. I really enjoyed it. yes it actually turned out so good with the cream cheese. Good to know, thanks! Glad you enjoyed it. Cream cheese? Or sour cream? The recipe calls for sour cream but Michelle said she was trying it with cream cheese. I already have sour cream so I’ll use that. I LOVE mushrooms. It’s in the crockpot now and I can’t wait!!! i am trying to make this for the first time tonight. i normally like mine really creamy. have you ever added cream cheese for thickness? Hi Michelle, sorry I didn’t get back to you before you gave it a go – been away for the weekend! Did you try adding cream cheese in the end? I just made this tonight and I felt like it was missing something. I might try this next time! What kind of mushrooms would you recommend? Ooh I’m not sure! I hope it’s tasty – if it’s too hot you could always try adding a bit more sour cream. Fingers crossed! This looks so good, I will be trying this very soon!! I included this in a Recipe Roundup on my blog!!! Annie @ Plus Size to Downsized! No real reason, you can add it back in if you like :) enjoy! I’m sorry to say but I was very disappointed with this recipe. It smelled like old car tyres. Tasted sort of rubbery too. Perhaps I’ll add something in to make it an enjoyable meal. So you don’t add the smoked paprika until after it has cooked? The old recipe says before but this one says to add only the first five in the beginning… I think I will add up front and hope for the best! This recipe made my boyfriend say “I really won the Jackpot with you” THANK YOU Becca! I would start off with a pork goulash. A Jewish style chciken soup made frrom leftover Roast Chcken with garlic, onions, rice and cumin.. mine looks more like a stew, actually! 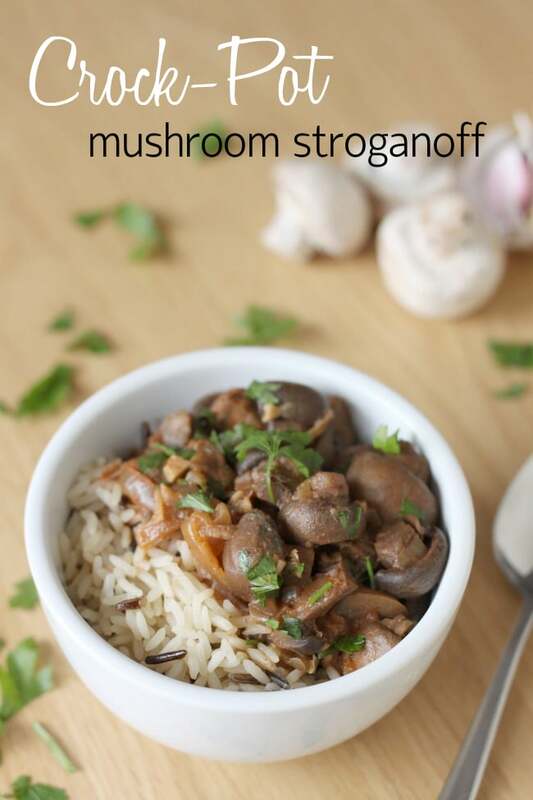 I’d probably give your mushroom stroganoff a go! irish stew! your recipe looks delicious though. ill have to give it a go! I just made this and it came out really soupy and watery. When I added the sour cream it just broke down. Any suggestions? I really like how all the juices soak into the rice, but if you’d like it to be thicker, you can either just use less stock, or cook it with the lid off for the last hour or so. It might help to take it off the heat for a few minutes before adding the sour cream :) hope that helps! I think it would have to be gammon in cherry coke first – it’s scrumdiddlyumptious! A lovely beef stew. Yum! I absolutely am going to be making this for dinner tonight. the Vcon portabello stroganoff is one of my favorite recipes ever, and this one looks just as good, and easier. It would have to be a beef casserole, nothing so yummy as soaked beef in gravy and juices and tender meat with mashed potatoes and vegetables… nom nom! A mixed game casserole & dumplings. So weird, but I was just thinking about making stroganoff this weekend. Thanks for the recipe! I’ve got loads of pumpkins in the allotment so I’d love to try some lovely pumpkin recipes like a tasty risotto. 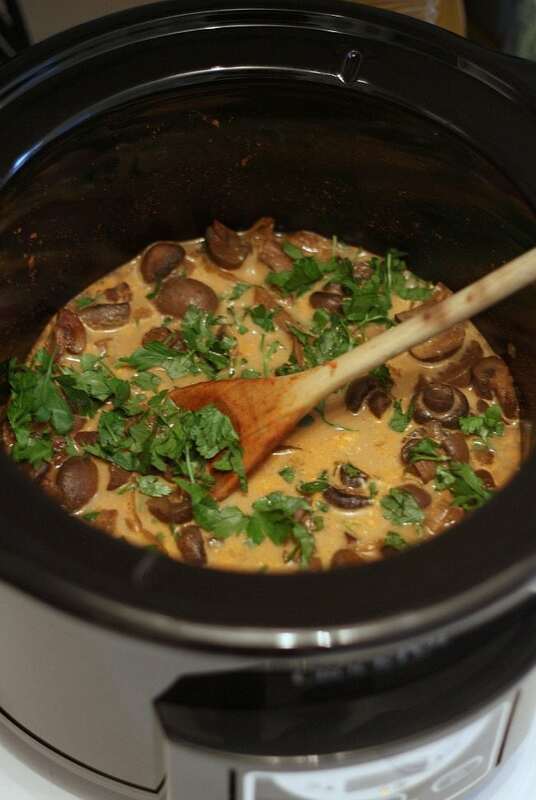 I would make this Mushroom Stroganoff and then your Mexican casserole! What wouldn’t I make with a crockpot?! Soups, stews, casseroles and even dessert! If I won, I’d probably cook a pumpkin stew or some pea soup! Super excited about this recipe and looking forward to trying it. 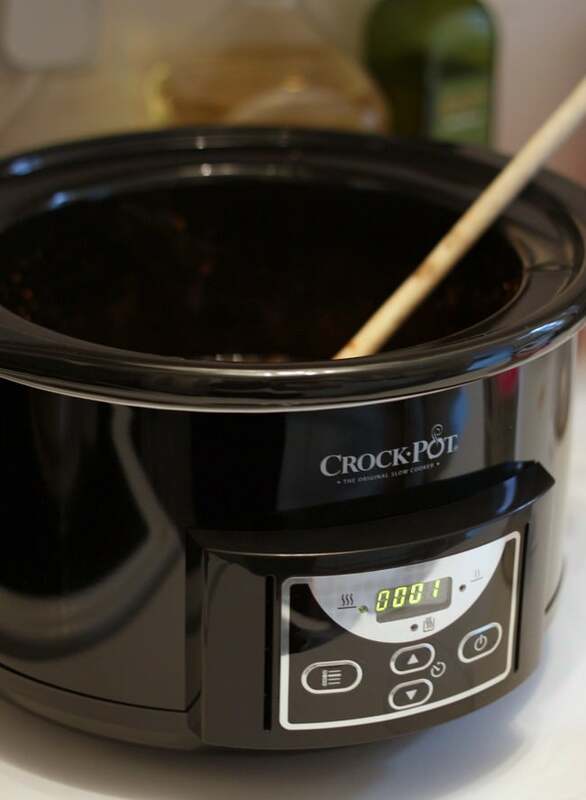 I need a new crockpot for winter soups and stews and desserts! We love vegetarian Indian food- would love to try out some favourite curry and pulse recipes. I would give the slowcooker to my daughter to make her own mushroom stroganoff instead of her eating most of mine!!! I’d cook a lamb casserole with rich garlic and rosemary gravy and herby dumplings! A chilli con carne, my favourite! 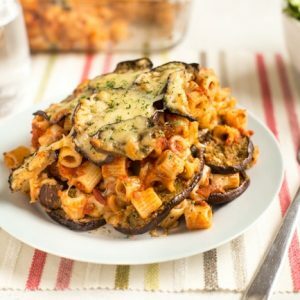 A quorn and aubergine casserole, lots of spices and herbs – make the kitchen smell delicious! This recipe looks amazing, I’d cook curry in my crockpot. A chicken or sausage casserole. I’d love to give Shepherd’s Pie a bash. I think a nice thick and chunky cream of vegetable soup. That mushroom stroganoff looks yummy so I’d probably give that a go, and also veggie stew and dumplings! I would cook a shoulder of pork joint and then use it as pulled pork. I would love to try and slow cook a curry. love me some pork carnitas in the crock pot! The dishes look amazing! Yummy! Lamb shanks with onion and coriander seed. Delicious! Home made chicken and vegetable soup. Portuguese pork, bean and chorizo stew (Portuguese Feijoada). 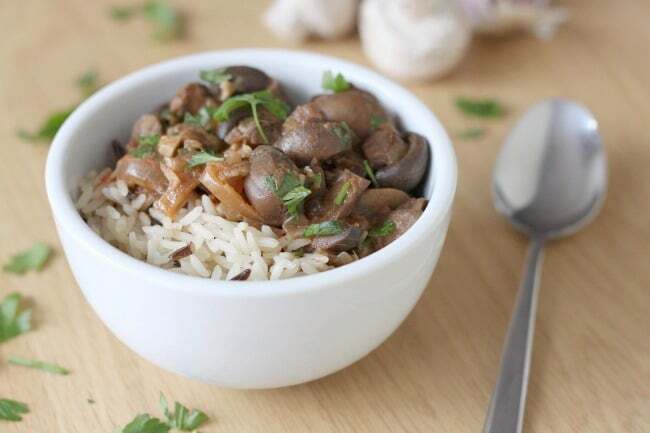 Definitely a mushroom and bean stew – veggie favourite! I love making courgette and sun dried pesto risotto, my daughters love it! I would make lovely vegetable soup with it. I would make a venison, parsnip and red wine casserole. Lots of rich wintery stews. I’d cook hearty warming stews, perfect for the winter months. I would love to win a crockpot! I would use it to make all sorts of stews and soups, but I’d start off with a spicy, rich vegetable chilli. Yes please! I’d make a lamb and aubergine stew, perfect for a chilly autumn night! Love your recipe! If I won I’d cook a sausage casserole and serve with creamy mash potato. Perfect comfort food. My friend also does a chocolate cake in hers – I didnt know you could do cake!!! Hi Grace! I’m afraid I’ve never tried any dairy free alternatives… it’s worth a go though! My favourite winter dish is a beef stew with diced beef, mushrooms, potatoes, carrots, beef stock, herbs and garlic, would love to see how this turns out in a slow cooker rather than my oven. I’d certainly make this:) and a vegan risotto. I may be the last person on earth without a crockpot and since it is Crocktober, I’d love to have one for all the great fall and winter dishes! 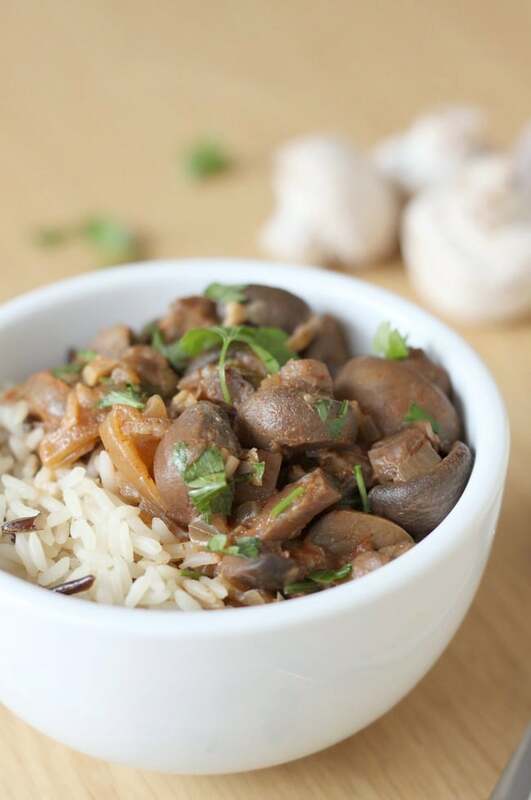 Usually I would say beef stew but, I want to make your mushroom recipe. I just pulled out my crock pot on Sunday and have already used it twice! Today will be number 3 in 4 days :) mmmmm mushrooms……comfort food heaven! Such a simple recipe – pinned to try out in my new slow cooker. As it’s vegetarian it’s good for the whole family. 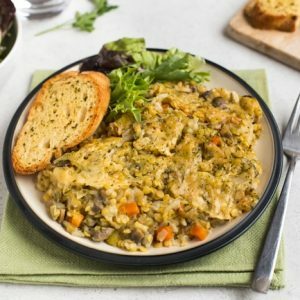 Probably a lentil and potato hearty stew – perfect for this time of year! So simple, but looks SOOOOO good! It would have to be beef stew – such a good winter warmer! I can’t wait to make this! I love my crockpot and use it every week to make soup. I just got two things of mushrooms and a couple of onions from the produce order that I get every week and was wondering how to use all those mushrooms. This will be perfect! Thanks for coming to my rescue again, love all the recipes I have tried from your website so far! I’ve been meaning to buy a slow cooker for a while so that I can have dinner ready for when I get in from work. I’d have to cook my mum’s beef stew – I don’t have time to cook it usually! I love making soups in the crock pot!!!! So many varieties and so easy ! Thanks for hosting this amazing giveaway! Mushrooms – My favorite food… There is a Monterey Mushroom plant just south of Knoxville, Tn A 2 pound bag is $4.00… Anytime the grocery stores have a sale… I load up and can or dehydrate them>>> Slow cooking makes dinner MUCH easier!!!!! Sounds delicious! I look forward to making it. I love crock pot recipes – keep them coming! I would cook some soup!! How long would you cook this in a dutch oven? I do have a crock pot of sorts but I’m reluctant to use it for this because it’s more of a very basic rice cooker. It doesn’t have any settings, just a single cook button, and it’ll switch to “keep warm” pretty randomly. It should only take about 20 minutes on the hob :) just saute the mushrooms, garlic etc. for a couple of minutes then add the stock and simmer until they’re fully cooked. I love to make roasts in crockpots. I would like to try something like this with the rice cooked in it as well. Everyone should own a Crockpot and they’re such a bargain at £17 in Tesco this week! I love mushrooms. This recipe looks incredibly delicious. I can’t wait to make it! Looks Delish!!! Can’t wait to try!! I’d cook ALL the currys. And a black bean chilli. My crockpot ‘crock’ recently cracked so I desperately need a new one! I use mine WAY too much to be without one!!! 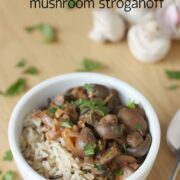 I am a huge fan of mushrooms and in stroganoff? Delicious! Pinned! A tummy warming beef casserole with homemade dumplings! Thank you for the giveaway! I would create a dish with lentils, mushrooms, tomatoes, onions, sweetcorn, sunflower seeds and then experiment with different spices to get a good yummy dish! I’ve been dying to make crockpot soups instead of having to simmer everything after I get home from work. I need more soup in my life! Looks absolutely delicious. Sharing to my page from here. Simple ingredients and delicious looking meal!